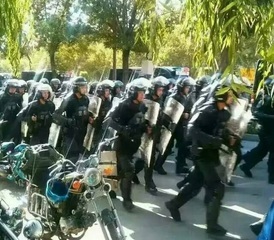 The Armed Police Suppress the Protesters  - The Fularji district government mobilized thousands of police officers from neighboring counties to the scene and began to suppress. 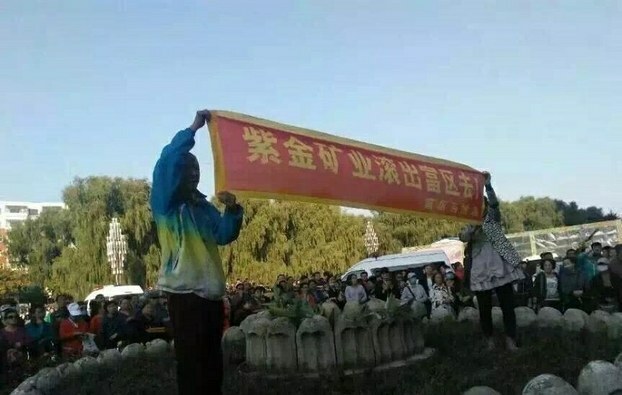 Residents of Qiqihar Protest against Zijin Mining  - Some people protested for a full day, holding banners with "Zijin Mining get out of Fularji District !" . 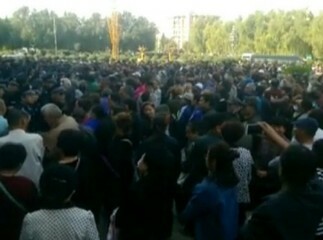 Residents of Qiqihar Protest Against Zijin Mining - 4,000-5,000 people gathered in front of the government of Fularji district. Thousands of people took to the streets of Qiqihar in September 2016 to protest against a planned copper smelting plant near their homes. Why? Explain briefly. This project is still under construction. In the Government Work Report of Qiqihar in 2017, there is still a plan to commence the construction of the Zijin Copper Industry Park resume economic growth. 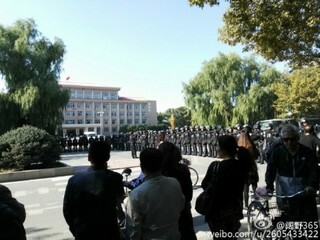 Residents of Qiqihar Protest Against Zijin Mining  4,000-5,000 people gathered in front of the government of Fularji district. The Armed Police Suppress the Protesters  The Fularji district government mobilized thousands of police officers from neighboring counties to the scene and began to suppress. Residents of Qiqihar Protest against Zijin Mining  Some people protested for a full day, holding banners with "Zijin Mining get out of Fularji District !" .